The name itself conjured up all kinds of cutesy things so we hired an artist to paint our home page, and cute it was. 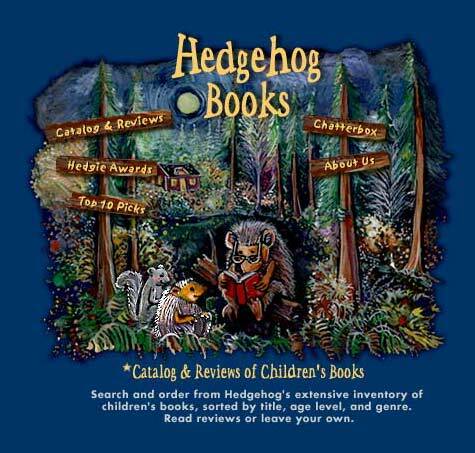 Our artist created a forest scene for us with a hedgehog reading a book to a group of fine, fun, and furry friends. When she was done, I took it into Photoshop and painted in street signs to serve as links into the site. It was, I have to say, when of the cutest home pages I had ever seen. Problem is cute didn’t sell. The logs told the truth, and it wasn’t pretty. The husband of one of the teachers was a programmer and understood servers and logs very well. We didn’t have analytics back then, but we did have server logs, and he knew how to read them. What he discovered was that, while there were a lot of people coming to the site, few clicked on our cute road signs. I hated to hear that. Those signs were so cute, but we were more interested in getting customers, so I went to work and redesigned the site to mimic a new online bookshop that was apparently quite successful by the name of Amazon.com. Gone went our cute painting and instead came a “spreadsheet” presentation of book thumbnails along with add to cart buttons. Within one day sales tripled. What I learned from this was that there is much more to being successful online than being cute or pretty. In fact, cute and pretty can even be a real roadblock. And over the years, I’ve seen this time and again when clients come to me to “fix” their websites. Their sites may be beautiful, but they may not be converting and they may not even be attracting visitors because they were designed in such a way that search engines can’t even tell what they are about and thus don’t know where to put them. And so those beautiful sites get hidden away in Google’s “closet” of gone and forgotten. I hate to see this, so much so that I volunteered to give a presentation to Santa Cruz’s Web Developer Meetup Group to help web designers get it right, right from the start. The following are slides from that presentation. Though not complete, in that you don’t get to hear me speaking between the lines, I hope you find it helpful. If you have questions, please leave them in the comments below. And follow this blog because I’ll be creating posts around each of these slides in the coming days. Remember. Pretty may get you a wink, but not necessarily a relationship. Now go get those customers! And here are your slides. Why we need to think about SEO before and during web design rather than trying to bolt it on afterwards. View more presentations from Kat & Mouse at Slideshare.